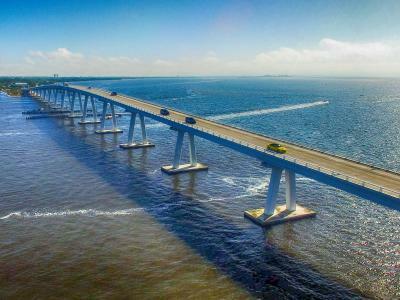 If you’re in the area, be sure to get in on the Tarpon fishing Fort Myers has to offer every year. Famously known as the “Silver King,” the Tarpon in these parts average 120 lbs in size, some of them tipping the scale way past 200 lbs. As it happens, the biggest of them are actually female—so it’s the queens of this species you want to catch! Tarpon show up off the coast of Fort Myers in spring (usually mid April) as they make their way north, flooding the inshore inlets, backcountry, and canals. 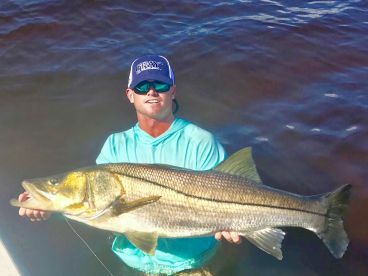 You’ll find them in the shallow waterways surrounding Fort Myers through early October, gorging themselves on baitfish. 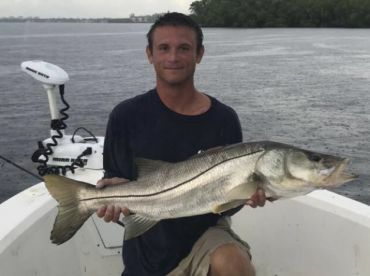 Many anglers fish for these Silver Kings (and Queens) right off the beaches, too. 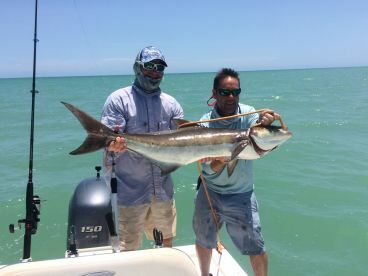 The biggest Tarpon tend to move toward Boca Grande Pass in May, where you’ll find hundreds of charter boats and the fastest-paced fishing of the season. 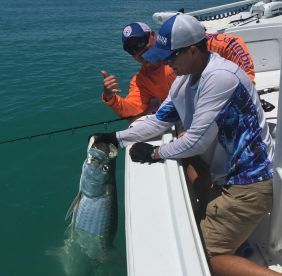 Many captains in Fort Myers offer special Tarpon fishing trips in spring and summer, dedicated exclusively to catching a Silver King. 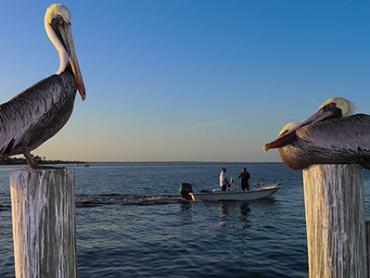 Six and eight-hour trips are ideal to make sure you have plenty of fishing time. 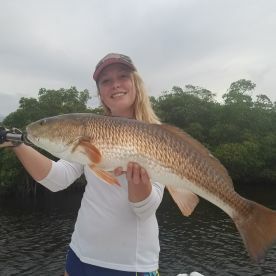 Many anglers recommend getting out on the water early in the day. Trips usually cost $100 an hour, sometimes more. 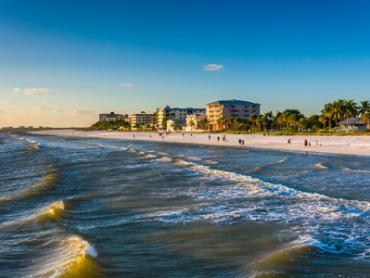 Prime Tarpon fishing months in Fort Myers are May-July, so be sure to book your trip well in advance. 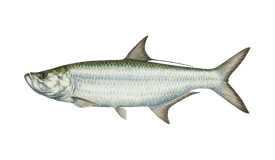 There are numerous ways to catch a Tarpon, and your captain may decide which method is best based on the tides, weather, and other factors. 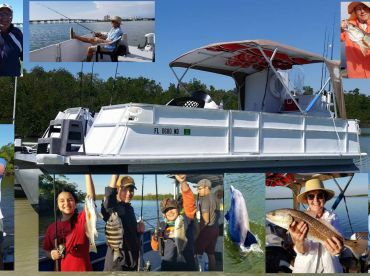 Many anglers enjoy fishing for Tarpon in Fort Myers on light spinning and fly tackle. Early in the season, you’re likely to sight cast for them on the flats and in the backcountry. You can target larger Tarpon using heavy tackle. This fish bites anything from lures and frozen bait to live Crab, Shrimp, and Pilchard. 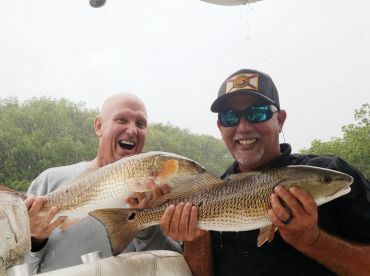 Live bait tends to prove more effective, but bear in mind that this can drive charter prices up or add extra fees to your trip. The key to catching this fish is persistence—it may take you longer than expected to hook into one, and when you do, be ready for a fight! Tarpon fishing in Florida is strictly catch and release. Tarpon larger than 40” should not be removed from the water. 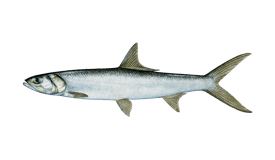 If you’re aiming to break the IGFA Tarpon record and intend to keep your catch, be sure to purchase a Tarpon tag ($50, price subject to change). 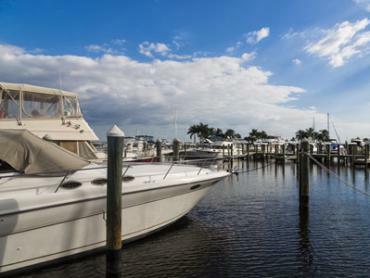 Tarpon fishing in Fort Myers varies moderately throughout the year. High season is May to July. Low season is January to February and October to December. There is no closed season. Tyler was terrific. He put us on fish and was extremely patient and helpful. Looking forward to a Tarpon excursion later this spring. "Half Day Trip with Captain Charlie"
We had a great trip with Captain Charlie. We caught trout, mackerel, tarpon and Snook. The highlight was a 35 inch snook along with a 20 inch trout. "3/4 Day with Captain Charlie"